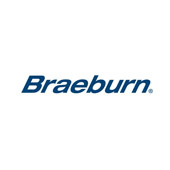 Braeburn Systems LLCis one of the fastest growing new wholesale indoor air quality manufacturers in the United States. Our dedicated team of specialists provide digital electronic and electro-mechanical thermostats, zoning systems, air filtration products, humidification and various accessories for installation by professional contractors worldwide. Braeburn products are available to contractors via our global network of HVACR distributors.